Picasso, Rembrandt, Van Gogh, Renoir, Monet, Velazquez, Dali...painters have the marvelous ability of transmitting feelings through their works. Their biographies can be more or less tragic or fortunate, they may have enjoyed success in life or posthumously, but they all share need to express themselves through their paintings. Throughout history there have been many different schools of painting, and with them many renowned painters, but there is always a painter whose works have made us feel something special. 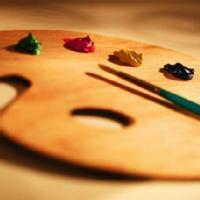 Participate and vote in this ranking for the best painter of all time. Who are the Best Ukrainian Painters in History? Who are the Best Romanian Painters in History?